Living in the modern world, our bodies can start feeling pretty grubby inside. Between the sugars, refined flours, caffeine, alcohol, dairy, chemical food additives, pesticides, and environmental pollutants we encounter, our cells are exposed to myriad toxins and inflammation triggers. The stress of modern life also places a tremendous burden on the organs of elimination, leaving pockets of waste in the colon, and stressing the liver, kidneys, and lymphatic system. Legions swear by juice fasts and other cleanse routines that go for 10 days or more. But a no-fast weekend regimen is a much easier way for a coffee-and-bagel junkie to make real changes in daily routines. It gives you a chance to take a break from caffeine, sugar, wheat, dairy and alcohol, and to establish new, healthier habits. 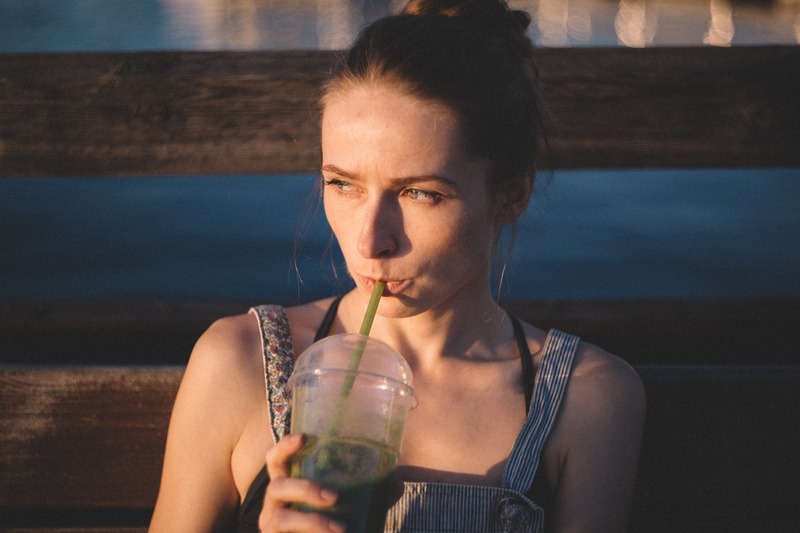 Remember, too, that detoxing includes your whole body; a hurried pace, stressful schedules, and festering resentments can create mental and emotional toxins that need to be cleared away. If you’re new to detox, a weekend cleanse can provide a physical and psychological jump start. If you’re a veteran, regular weekend regimensone a month is idealcan help you build on healthful habits. Here’s a simple, day-by-day plan to guide you through. Carve out a weekend when you’ll have lots of flexibility. Treat it like a spa retreat: plan a massage; find a place to take a sauna; stock up on fresh organic produce and a few supplies. A detox should feel like an indulgence, not hard work. The day before you start, dramatically reduce your intake of caffeine, sugar, wheat, dairy, and alcohol, to lessen the likelihood of headaches and painful withdrawal symptoms during the weekend. Eat light, focusing on raw greens, steamed vegetables, legumes, beans, and raw nuts. Read through the plan outlined on these pages and gather any supplies you don’t have on hand. Dine on steamed organic veggies, and head to bed early. You’ll need a full eight hours of sleep on Friday night; research points to a link between lack of sleep and adrenal stress, blood sugar irregularities, and weight gain. Wake up with yoga. Ease into your first day with a bedside series of cat and cow stretches, alternately arching and flexing your spine to wake up your body. Sip lemon water. To stimulate the bowels and detox the liver, drink a cup of hot or room-temperature water spiked with the juice of half a fresh lemon. Make a pitcher of lemon juice and filtered water (use the juice of half a lemon for every 8 ounces of water), and drink a glass every hour throughout day. If you want a little sweetness, add a bit of stevia. Skip the coffee: it’s hard, but essential. Substitute green tea as a gentle source of caffeine to help avoid energy slumps and caffeine withdrawal headaches; studies also show it’s rich in compounds that boost liver detoxification. Dry brush your body. Dry brushing stimulates the lymphatic system, one of the body’s primary detox mechanisms. Using a soft-bristled brush, lightly brush your skin, starting from your fingers and toes and moving in toward your heart. Follow with a warm shower to further boost circulation and move lymphatic fluid. Have a light breakfast of steamed vegetables. Carrots, sweet potatoes, zucchini, and kale have a sweet taste that’s surprisingly satisfying for breakfast—and they’ll reduce inflammation, a primary goal in any detox. Choose a restorative activity. Do yoga or tai chi, listen to music, visit an art museumwhatever makes you feel soothed and nourished. Or read an inspirational or humorous book: a hearty laugh stimulates endorphins and relieves stress. Mix up a big dandelion salad (see this recipe for Detoxifying Dandelion and Bitter Greens Salad with Lemon-Tarragon Vinaigrette). Dandelion and other bitter greens are rich in phytochemicals that boost the liver’s capacity to eliminate toxins. Have a 2-cup serving of salad for lunch, and store the leftover salad and dressing separately in the fridge. You’ll need them later. Go for a walk. After lunch, head outside for a brisk walk or gentle hike, to get your blood and lymphatic fluid circulating. Sweat it out with a steam or sauna. As you’re cleansing your body, you’re stirring up a lot of toxins. You want to get these out of your system as quickly as possible. Saunas encourage perspiration, sending toxins out through the skin, the body’s largest detox organ. Most gyms, community recreation centers, and YMCAs have saunas or steam rooms; or check your local spa if you’re feeling extravagant. If you don’t have access to a sauna or steam room, relax in a hot bath with Epsom salts. Take a nap. After your sauna, take a short nap, or rest quietly and check in with your body. Do you notice any subtle changes in your digestion? When you take a break from wheat, sugar, and dairy, you may notice differences in bloating, gas or stomach sensation almost immediately. Write and reflect. Make notes in a journal about what you’re thinking and feeling. Are you angry with someone? Do you feel sad? Was it surprisingly painful to give up your morning muffin? Toxins don’t exist only in the body. It may be that you have some poisonous thoughts or emotions to cleanse as well. Eat a light supper. Start with another dandelion salad, followed by 1 to 2 cups of steamed spinach or collard greens, topped with 1/2 cup cooked lentils or 1 tablespoon of raw nuts, and a dash of cayenne pepper. Spend a quiet evening. Choose an after-dinner activity that feels soothing: knit, paint, or read. Prepare for sleep. Sip a cup of chamomile tea, and quietly reflect on your day. Note your observations in your journal. What emotions came up when the world was quiet around you? See if you can find a message or inspiration for the day. Drink your fiber. Before retiring, take 1/2 to 2 teaspoons psyllium seed dissolved in 1 1/2 cups warm water to keep the bowels moving. Hit the hay early. After a full day of shifts and changes, your body needs plenty of rest. Repeat Saturday’s wake-up routine. Start the day with cat and cow stretches, followed by hot lemon water, dry brushing, and a warm shower. Try asparagus for breakfast. Include it in medley of steamed vegetables; it’s rich in folic acid, which is key in the production of glutathione, an enzyme that boosts detoxification. Meditate. Recent studies show that meditation lowers stress, decreases rumination, and promotes forgiveness. If you’re new to meditation, try it for 5 to 10 minutes; if you meditate regularly, try 20 to 30 minutes. Make notes in your journal of anything that comes up. Lunch on dandelion salad and a steamed artichoke. Artichokes are rich in compounds that boost liver function. Take a walk or gentle hike. It’ll boost blood flow and help keep the bowels moving. Indulge in a massage. Deep tissue work that improves circulation and stimulates the lymph system is ideal for transitioning out of your detox. Rest and reflect. Take a short nap, and write in your journal. Take a light meal. For dinner, have a dandelion salad topped with avocado and crumbled nori. Sea vegetables are a wonderful source of minerals that help alkalinize the body; that’s important, since most people are too acid, from gluten, sugar, and toxins in food. Luxuriate in a warm Epsom salts bath. The body absorbs magnesium from Epsom salts, which helps relax the muscles and detoxify the lymphatic system. Prepare for restorative sleep. Take your psyllium seed, meditate for 15 minutes, then curl up with a cup of chamomile tea and your journal. What did you learn over the weekend? What new habits do you want to continue? Make notes of three life lessons to take away from your weekend, and drift off to sleep. Ease into the day. When you awaken Monday morning, you may feel tired, and might be experiencing symptoms of withdrawal from caffeine, food additives, and other toxins. Take the morning off, if possible; if not, take it easy. Make time for another Epsom salts bath and take a walk if your bowels need a little help to get moving. Meditate on new habits. Think about where you can modify your established routine to add more healthful habits. Could you commit to adding a big green salad every day, or a 15-minute meditation session? Can you substitute green tea for coffee, and stevia for sugar? Simple changes add up fast, and those changes are the ones that make a lifelong difference.